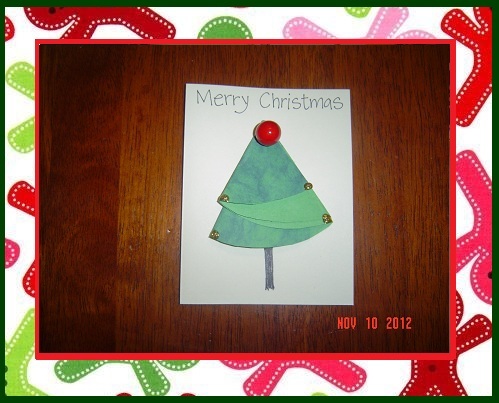 Lets start with my last super easy Christmas card for now. Hopefully I will get time to make some more. We start with a big circle cut out of construction paper, a marker, glitter and glue. I also have a cherry that fell loose from Christmas tree decoration. 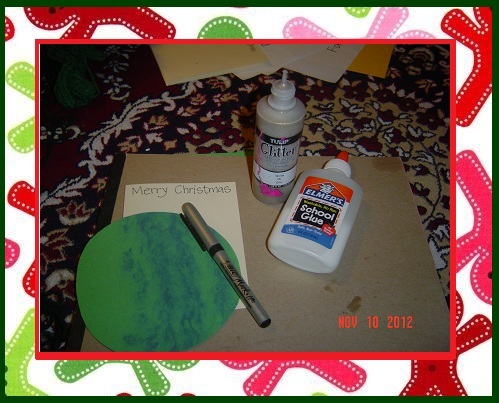 Fold the circle into semicircle and then fold it twice to make it shape of Christmas tree. You can staple the top of tree. 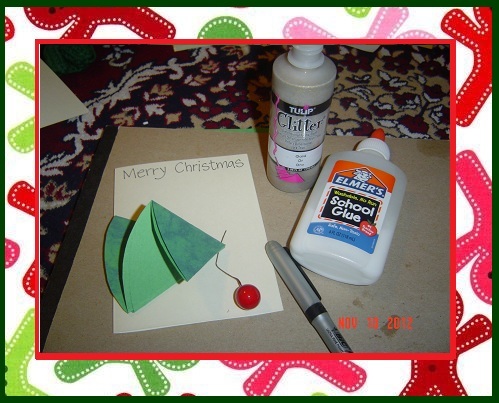 Make stem by writing a thick I.
Decorate with glitters ad other decorations you may have. Our cute , super duper easy card is ready in minutes!